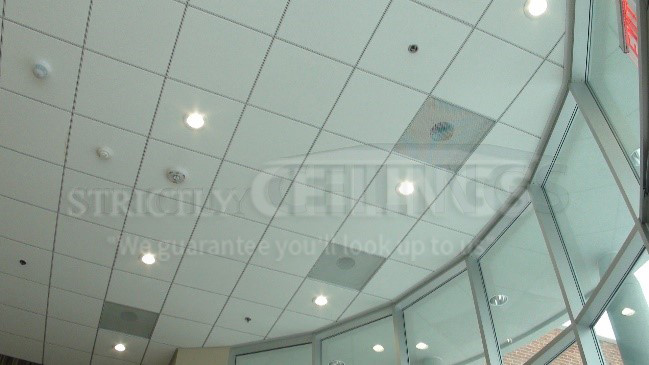 Most drop ceiling installations have the standard 15/16” wide ceiling grid system installed. This system is commonly referred to as the 1” wide grid. Many people don’t realized that there are other options available for drop ceiling grid systems. If you dislike the look of the standard width drop ceiling grid then there is an option of choosing a narrower width grid. This narrow grid is 9/16”wide. Some people call it the ½” grid. Narrow drop ceiling grid is half the width of the standard grid. It has a more modern and contemporary look. There are a couple of disadvantages but only to the installer. The tolerances of narrow grid are tighter which translates into being less forgiving than standard grid and the tiles fit tighter as well, however the benefits outweigh the negatives of the narrow grid. Narrow drop ceiling grid installs similarly to the standard 15/16” wide systems, however there are a couple of differences. Let’s go through some of them. 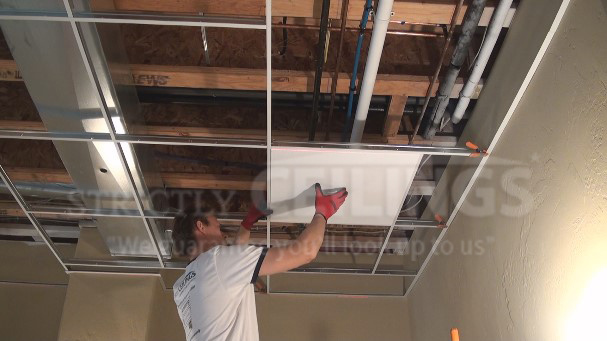 Narrow drop ceiling grid is very flimsy when initially installing so it’s very important to install as many cross tees in the field as possible to improve the rigidity of the system. 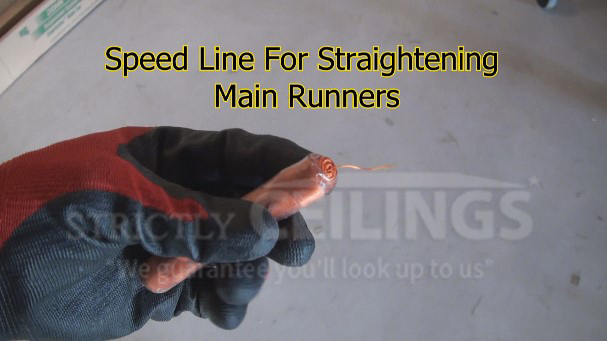 Only use speed line for straightening the main runners. It’s thinner and pulls tighter. When cutting cross tees you must install the entire end of the tee into the wall angle and cut it just shy of the outside edge of the main runner. Square for the 4×4 method of 15/16”drop ceiling grid is 66 3/8”, however square for 9/16” narrow track is 66 7/8”. If you’re having difficulty with achieving square, install a couple of field tiles to square up the grid. Sometimes it’s best to not rivet tees in a 9/16” ceiling grid system. 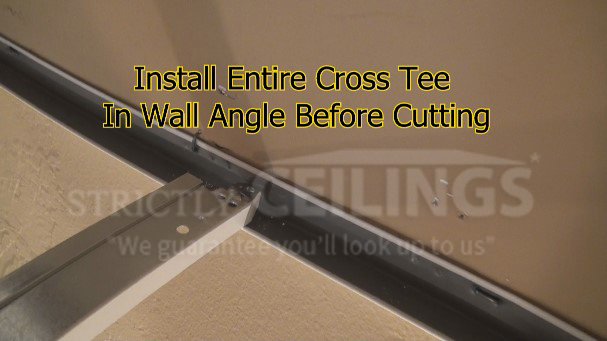 In this case you would pound a staple in the wall and use a piece of tie wire to secure the cross tee against the wall. This will prevent you from having crooked tees that will have cause trouble when installing the tiles later on. Installing the 9/16” ceiling track system require a little extra patience and time. Once completed though you will have one of the best looking drop ceilings. There are several different profiles of the narrow grid systems. Check out the 1/8” bolt slot grid if you really want a great look! Watch the full video to see an actual step-by-step installation of a 9/16” ceiling grid system.